As the Community Manager here at Verblio (formerly BlogMutt), my job is to work with our crowd of freelance writers to translate their expertise into the best possible content for our customers. In my opinion, the #1 differentiator for Verblio as a content writing service is that our platform allows you to build a personalized crowd that intimately knows your (or your individual client’s) content needs and that grows with you over time. I’m in a unique position to see how the most successful and most long-lasting relationships are built between our customers and their writers, so I want to pass along some tips for you on how to get the most out of our service by building the best crowd for you. Now, let me stop right there for a second. Why Is It Important to Build Strong Relationships With Your Writers? In this market, it’s just not enough for your content to be OK. In order to get noticed, your content needs to be personal, engaging, and tailored to your brand’s unique voice. But how can a writer do that if they don’t know who you are? Have a deep understanding of your brand positioning and grow with your brand over time. 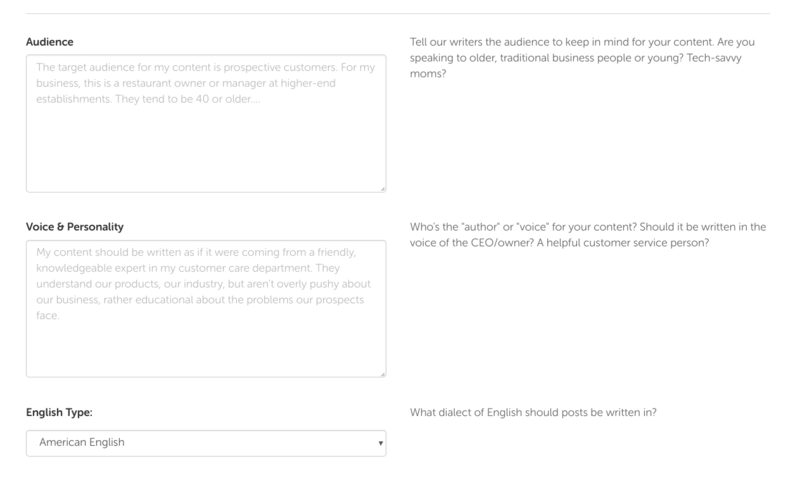 Tailor their content to your specific customer persona(s). 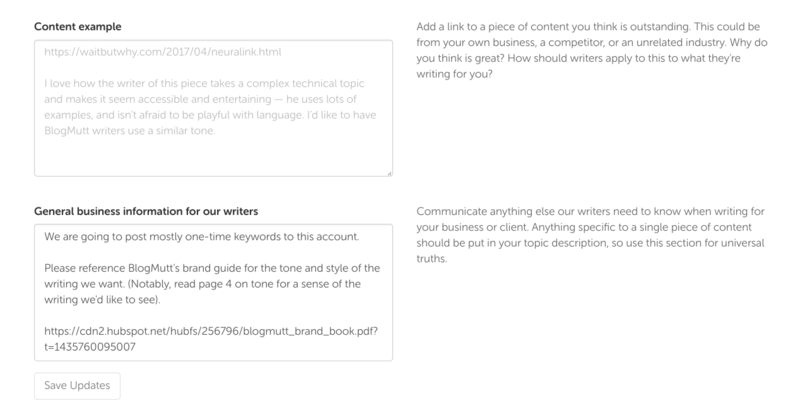 Match the tone and style of your existing content or build a style that’s perfect for you. Create content story arcs by intimately knowing what you’ve published in the past. Suggest new content ideas that appeal to your audience (and help you save time). I think of customer-writer relationships as the core of Verblio, because they allow customers to get something that is very rare in outsourced content marketing. That is…continuity. But wait! Isn’t Verblio a crowdsourced solution? Doesn’t a “crowd” mean big and anonymous? Although we have a very large number of writers in our system, there won’t be 3,000 different writers creating your specific content. That’s crazy! The beauty of the crowd is that with so many great writers looking at your requests, you’re able to build a small, personal crowd of writers who understand your industry and who create content that’s perfectly catered to your audience. Have clients across many different industries? Build a perfectly unique crowd for each. In fact, by helping you build this crowd, we can actually give you a much more personal and relationship-based experience than a service where a different writer creates each new piece of content that you publish. Remember when I listed all the benefits of strong writer relationships? You’re the communication channel and the common denominator. YOU are the one who knows your brand. YOU are the expert in your industry. YOU are the one who understands your unique audience. YOU are the one who gets to choose which writers are right for you. Strong relationships with writers don’t grow overnight and they don’t grow without some upfront investment. Think of it like this. 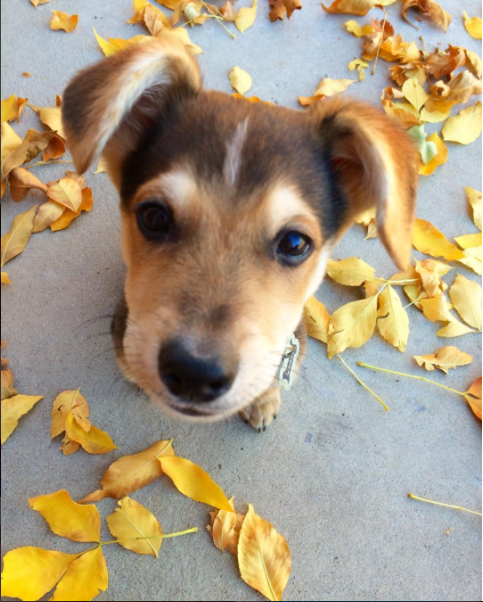 Starting a Verblio subscription is like getting a new puppy. You have to do some work at the beginning to train the puppy, socialize it, introduce it to the new environment. But over time, the puppy requires less work. You can leave it home alone longer, there are fewer messes, and its walks just become part of your daily routine. The same thing goes for Verblio. 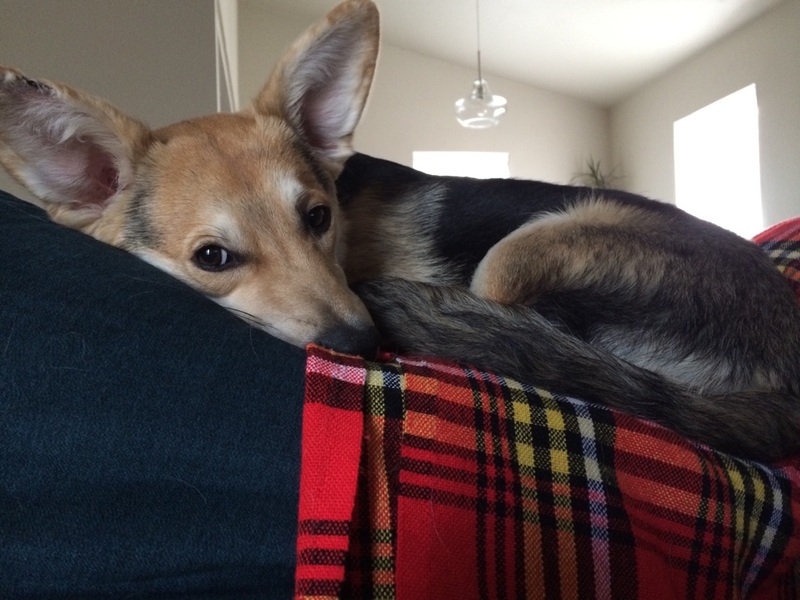 For a relatively small time investment at the beginning, you get have an adorable, cuddly, loving new member of your family who requires a much smaller amount of effort to maintain later. In order to get the most out of our service (and really, out of your content, no matter how you get it), you are going to have to put some work in to make sure that your writers have access to the information that they need about your brand. HOW LONG you should expect each of those tasks to take. As soon as you sign up, take 1 HOUR to make sure that your page is ready for the writers. While you’re at it, make sure to provide writers your “Contact Us” page URL (if you want your want your posts to have CTAs) and your Twitter handle if you’d like writers to check out your social media presence. 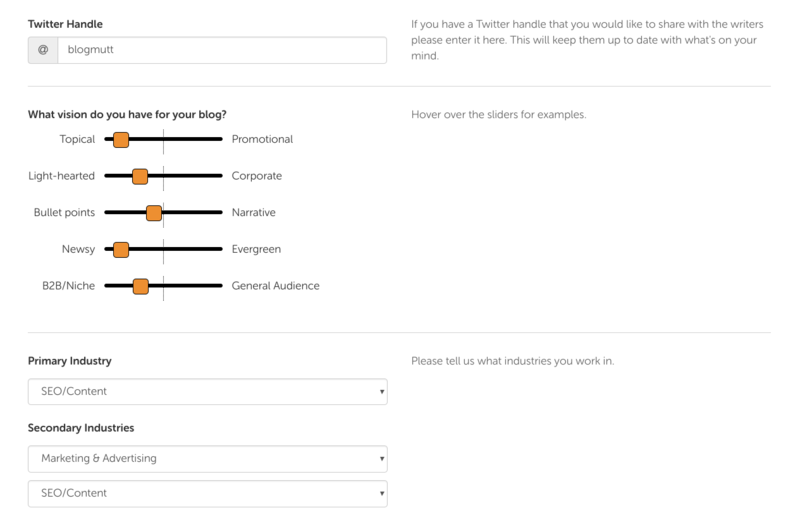 Take the time to fill out these fields because they give our writers to best chance to create great content for you on the first try! Click here to view our full guide to filling our your Business Info page. 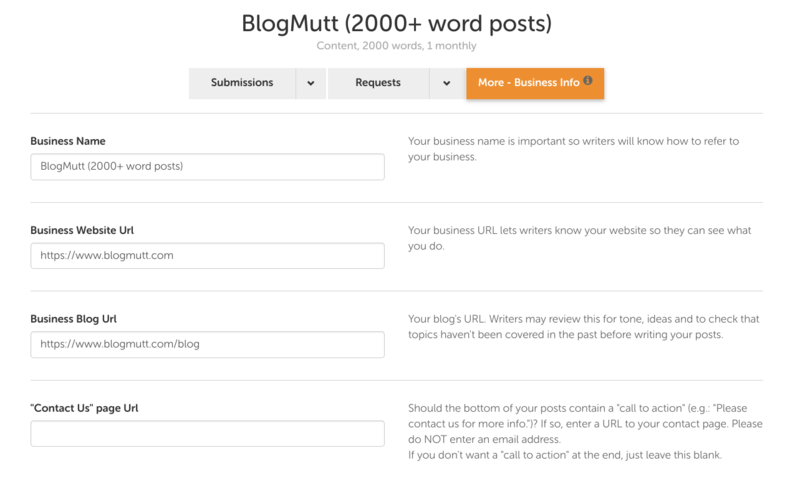 You need to enter requests so that writers know what you want to write about. These descriptions vary a lot with the length of your posts, since a 1500-word post requires a lot more depth and research than a 300-word post. a. A keyword that you want to target (learn more here). d. An outline* (attach as PDF or Google Doc for longer posts). *TIP: Read this post -> How to Write a Blog Outline To Get Exactly The Post You Need. *TIP: Remember that writers can search for requests by title. Use compelling request titles to draw in writers with the right experience. 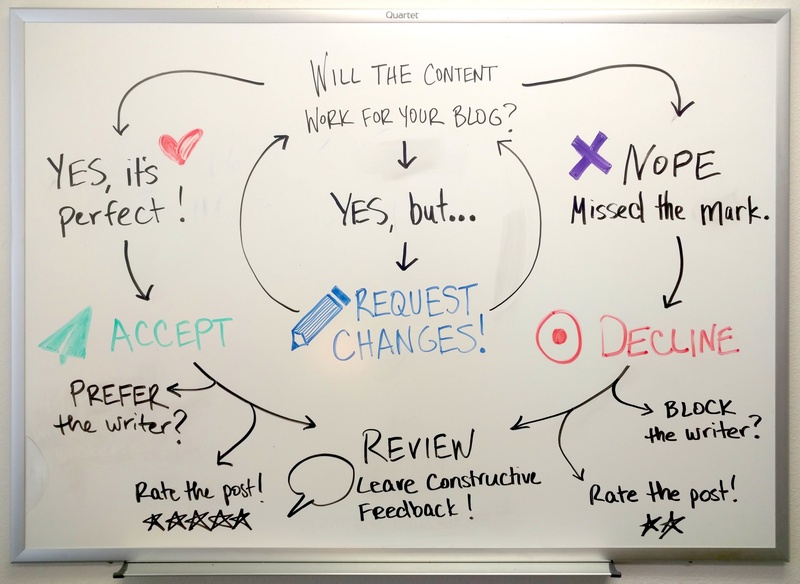 In order to receive great content, you must create great requests—after all, our writers can’t read your mind! The clearer you are about what you want from the writers, the more likely you are to get it on your first try. For example, pretend you are looking for a 700-word post about how millennial moms engage with online content. You know a little bit about this subject and have read some other, similar posts about millennials and even millennial women, but you want to make sure your post is unique. If you enter a three-word request—”Marketing to Millennials“—you can’t expect the writer to read your mind about everything else that you’ve considered. Please read these similar articles (you can use them as sources), but be sure to come up with some new and different strategies from the ones that have already been written about. The blog should be oriented toward business owners who are seeking to attract new audiences and who already have products that might be successful with this demographic. I don’t want a composite article, but rather a post that really breaks down (1) how millennial moms engage with content (and where), (2) why they are different than other millennial women, (3) how they are different than the previous generation of moms, and (4) that gives the reader some actionable ideas for how to shift their marketing strategy to attract this audience. By adding a description to your request and telling the writer exactly what you want, you’ll make your life easier later on. This process also forces you to figure out what you really want, so that when a post comes in, you’ll also be able to evaluate it quickly and fairly. THE BOTTOM LINE: Make sure that writers have access to as much information about your business and about the goals for your blog as they possibly can. How you handle your first five posts can tell me a lot about how successful you will be at building your crowd. You’ll want to set aside some time during that first week to review these posts thoroughly. My most important piece of advice: the sooner you can review your post after you receive it, the better. Even if you have a larger subscription and don’t have time to review every post you receive each month (in the future), taking the time to give thorough, kind, and specific feedback on your first few posts will go a long way toward helping writers understand what you need. If you can give writers information about what you like and don’t like about each post, this becomes a great starting point for other new writers. All writers can see your feedback to all other writers, so your feedback to one person actually impacts how our whole writer community learns about your needs. Community feedback is a critical part of how we are able to grow your writer crowd over time. It allows a new writer to take your previous criticisms into account as they write their first post for you, avoiding the issues that other writers have faced in the past. These are some quick actions that you can take over time to help optimize the growth of your crowd and ensure that when you find a good writer, they keep coming back to write for you. None of these items take more than a few minutes, but they will give you an incredibly high return on that time. When you receive a new submission, I recommend scheduling yourself 15 minutes sometime in the next day or two to do all of the following. For most posts, you’ll use half of that time and get a mini break as a bonus! Writers can see your last purchase date, and they always seem to know which customers purchase content quickly and which customers leave posts languishing for weeks. I recommend that once you review a post, you make a decision about it within a day or two. This will encourage your favorite writers to prioritize your posts. There are three possible decisions that can be made here. You can: (1) accept/purchase the post, (2) decline the post, or (3) ask the writer to make changes. Choose your own adventure! Check out our full guide on the actions you can take on Verblio submissions here! 2. Ask for edits when appropriate. If only a couple of things need to change in order for the post to be great for you, request changes (you can learn how here)! Be specific, but don’t go overboard. If the post would require a full rewrite to meet your specs, you’re probably better off declining it. 3. Give out star reviews (for better or for worse). This will make you popular with the writers. Try to be fair and give a variety of reviews. This will help writers understand which posts you liked (or didn’t). 4. PREFER writers that do a good job for you. This is the beginning of your personal crowd. When you prefer a writer, it sends that writer an email asking that they come back and write for you again. Writers can also filter their searches by customers who prefer them, so by giving the writer preferred status, you dramatically increase the chances that they continue to write for you. Learn more about why (and how) you should prefer writers. 5. Give constructive, polite, informative feedback on ALL posts you receive in the first month, whether or not you purchase them. ALL writers can see your feedback on EVERY post, and this is a big factor in who decides to write for you. Negative but constructive feedback is better for your writers overall than no feedback at all, but positive feedback is also SUPER important. THE BOTTOM LINE: Feedback, feedback, feedback! Anything you can do to communicate to writers which posts you liked (and didn’t like) will help you in the long run. All of this might seem a bit overwhelming at first, but over time, Verblio really should just become a part of your content routine, along with scheduling Facebook updates, posting to LinkedIn, sending your monthly newsletter, filing expense reports, or checking traffic trends. How much time you spend on your content will vary based on how much content you are hoping to publish, but you should expect to spend approximately 15 minutes per post, per month, in addition to the time spent on maintenance of your account (including keyword research, coming up with requests, etc). I recommend setting a schedule for yourself with calendar updates that remind you to check on each subscription once per week at MINIMUM. The more often you check, the less time you will spend on each visit! If you have submissions you like and credits available, purchase those posts! Give feedback and star reviews for as many posts as possible. Decline posts that you know you do not want to purchase. Pin posts that you can’t purchase yet, but intend to purchase eventually. 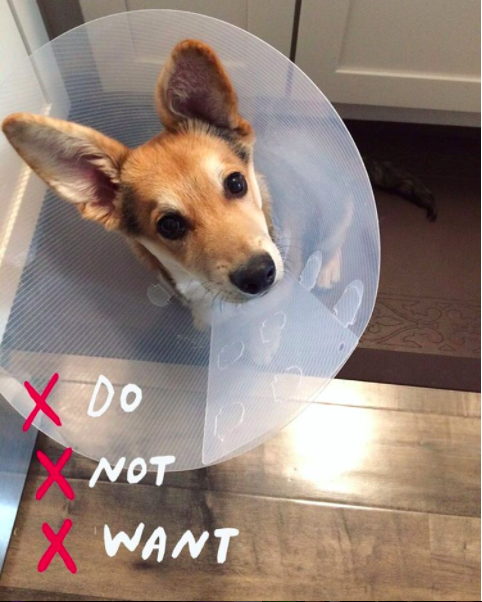 Request edits on any posts that need it. Ideally, this is stuff that you should do AS posts are submitted, but your biweekly visit is a great time to catch up if you’ve fallen behind. Add enough new requests for all of the posts you’ll need before your next visit. Make sure existing requests are still relevant, and delete any that no longer make sense for your content needs. Check your “Business Info” section to make sure the information is current. Make sure your business website link is working properly. Do you want a CTA at the end with a “contact us” phrase? If so, make sure that link has been entered properly. If not, delete that link from your page. By simply checking over your page a couple of times per month, you can avoid some headaches later on. If you follow these guidelines for your first two months and beyond, we KNOW that you’ll have a great crowd of writers who can keep your content machine churning and keep those leads coming in. Don’t have the time to review and manage the content yourself? Consider Verblio Complete, our professional services option. Your personal account manager can communicate with your writers and help decrease your overall time investment in the content. Get in touch below with any questions you have!